Main reason for not posting has been not producing anything worth showing. This one though I really like. 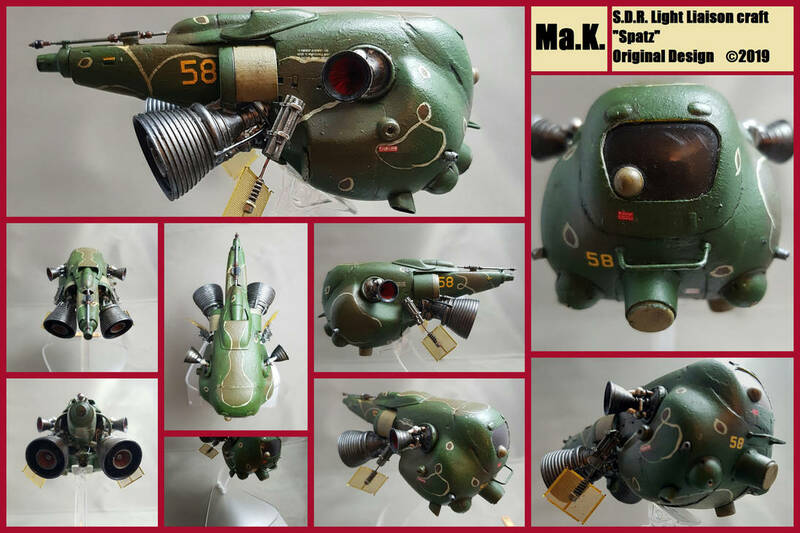 It used to be one of my finished 1:20 Maschinen Krieger suits: the Fliege. I wanted to see what else I could do with it and go all Scale-o-rama on it's derrière. This is the result: a liaison craft in 1:48. I plan to give it a proper base (I do believe i say that with all my builds though, and it never seems to happen) With a pilot standing next to it. Hope you like it, thanks for taking a look. Wow! Talk about something completely different! Nice work! Nice idea! And the result blends well into the Ma.K. universe.